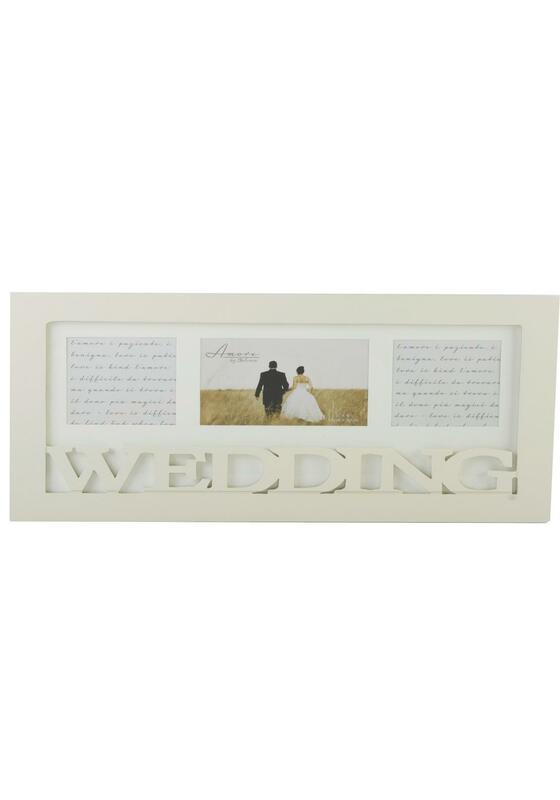 Triple Collage photo frame from Amore by Juliana that features the word Wedding in 3D letters. Each of the photos can be replaced with your own choice of image or you can keep the scrolling writing for a classic touch. Ideal gift for the bride and groom or treat yourself and treasure your images.